The clinical features of diabetes have been described more than 3000 years ago by the ancient Egyptians. Nonetheless, the word "diabetes" was first conceived by Araetus of Cappodocia in 81-133AD. The term mellitus (honey sweet), was later added in 1675 by Thomas Willis when he noticed the high concentration of sugar in urine and blood of patients. Claude Bernard demonstrated in 1857 the role of the liver in glycogenesis and the concept excess glucose production leads to diabetes. The critical role of the pancreas in the development of the disease, was discovered by Mering and Minkowski (Austria) in 1889. This constituted the basis of insulin isolation and clinical use by Banting and Best (Canada) in 1921. Since then, great effort has been made to find diagnostic tools and better treatments for diabetes, with moderate success. Unfortunately, there is no cure for the different forms of the pathology and the incidence is increasing worldwide. 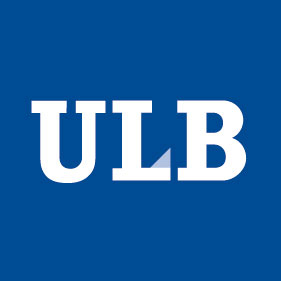 In the ULB Center for Diabetes Research, we face the challenge of a very heterogeneous disease that requires a deeper understanding of the pathology to find creative diagnostic and therapeutic strategies. We believe in a strong scientific commitment and reproducible findings to contribute to the way of thinking in diabetes research. Our vision is to translate fundamental science to the clinic by a collaborative effort between scientists, physicians and the industry. We aim to integrate academia in the private sector and vice versa to achieve more efficient patient care. Areas of intense research interest in our Center include pancreatic β cell dysfunction and death in type 1 diabetes, type 2 diabetes and monogenic forms of diabetes, the differentiation of human iPSCs into insulin-producing β cells, transcriptomic studies of β cells, β cell imaging, regulation of alternative splicing, endoplasmic reticulum stress, liver physiology, steatosis and insulin resistance. Learn more about our research groups. We are always looking for self-motivated, talented and creative individuals to join our groups. Please contact us for available vacancies or to apply for fellowships.